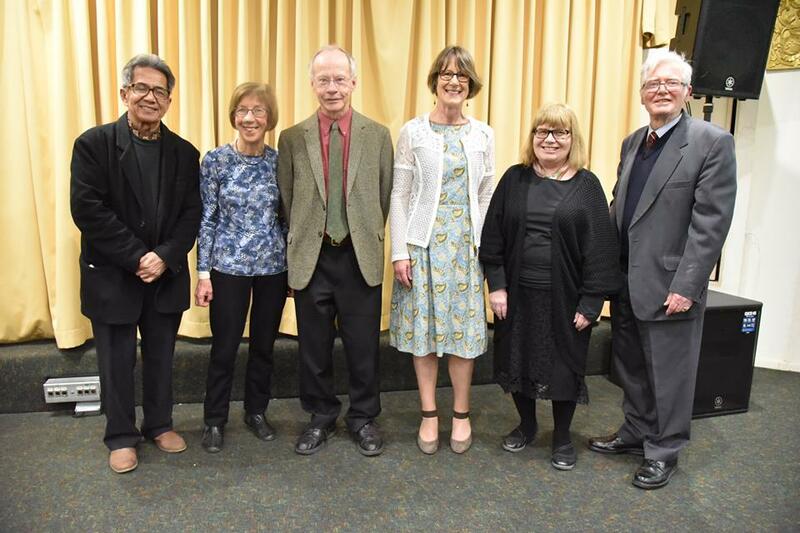 At a ceremony kindly hosted by the Consulate General of the Republic of Indonesia in Melbourne, the winners of the AALITRA Translation Prize (2018) were announced. In 2018 the focus language was Indonesian. The prose text for translation was “Surat” by Sapardi Djoko Damono; the poem was “Barangkali” by Amir Hamzah. The judges were four experts in Indonesian literature and translation: Lily Yulianti Farid, Harry Aveling, Anton Alimin and Jennifer MacKenzie. The 1st Prize in the POETRY section was awarded to James Scanlan (NSW). 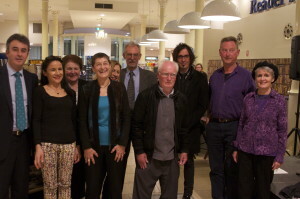 The HIGHLY COMMENDED Prize in the POETRY section was awarded to Keith Foulcher (NSW). The 1st Prize in the PROSE section was awarded to Pamela Allen (TAS). The HIGHLY COMMENDED Prize in the PROSE section was awarded to Sophie Revington (NSW). Cash prizes were provided by AALITRA. Book prizes were donated by Text Publishing, Giramondo Publishing and Emeritus Professor Brian Nelson (AALITRA Past President). Prize-winning entries will be published in the Association’s peer-reviewed open-access journal, The AALITRA Review along with a few words from the translators. AALITRA is grateful to the Consulate General of the Republic of Indonesia in Melbourne for its support of the AALITRA Translation Prize (2018). (L-R) Anton Alimin (judge), Barbara Hatley for Keith Foulcher, James Scanlan, Pamela Allen, Jennifer MacKenzie (judge) and Harry Aveling (judge). 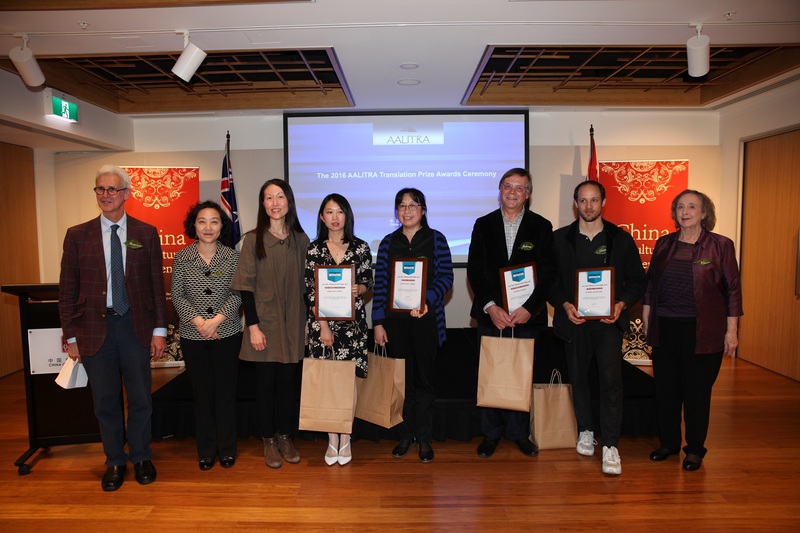 During a ceremony held at the China Cultural Centre Sydney on Tuesday 13 September 2016 we announced the winners of the 2016 AALITRA Translation Prize. In 2016 the focus language was Chinese, with entrants in the Prose category translating a story by A Yi (阿乙) and those in the Poetry category translating a poem by Rong Rong (荣荣). There were 24 entries in total and the judges, four experts in Chinese literature and translation – Nicholas Jose (Chair), Isabelle Li, Eric Abrahamsen and Lintao Qi – were impressed by the high quality of the translations. Click here to listen the recording of the Award Ceremony, including Isabelle Li’s presentation “The Wedding Dress Maker”. Prize-winning entries were published in 2017 in the Association’s peer-reviewed open-access journal, The AALITRA Review along with a few words from each of the translators. Prizes in each section were donated by the China Cultural Centre in Sydney. Book prizes were donated by Text Publishing, Giramondo and Margaret River Press. The AALITRA Translation Prize will be next held in 2018. The winning entries were published in issue 10 (2015) of The AALITRA Review. Prizes were donated by Text Publishing and the Embassy of Spain. Additional support for the Prize was provided by Hispabooks Publishing, El Patio Spanish Language School and Reader’s Feast Bookstore. Our thanks to the Jury: Lilit Thwaites (Chair), Peter Boyle, Chris Andrews and Fiona Taler.